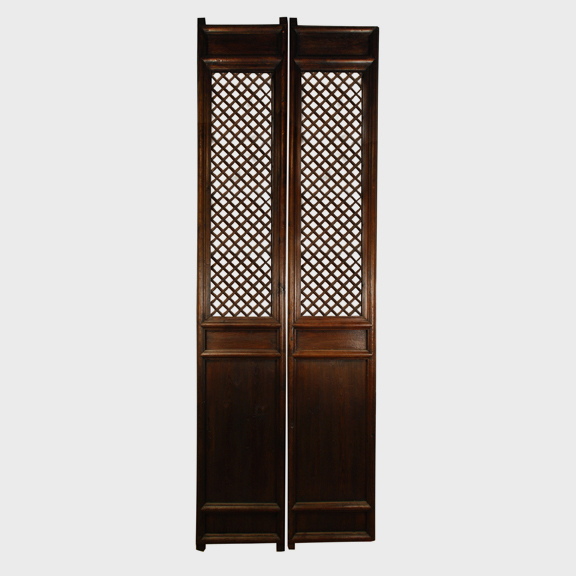 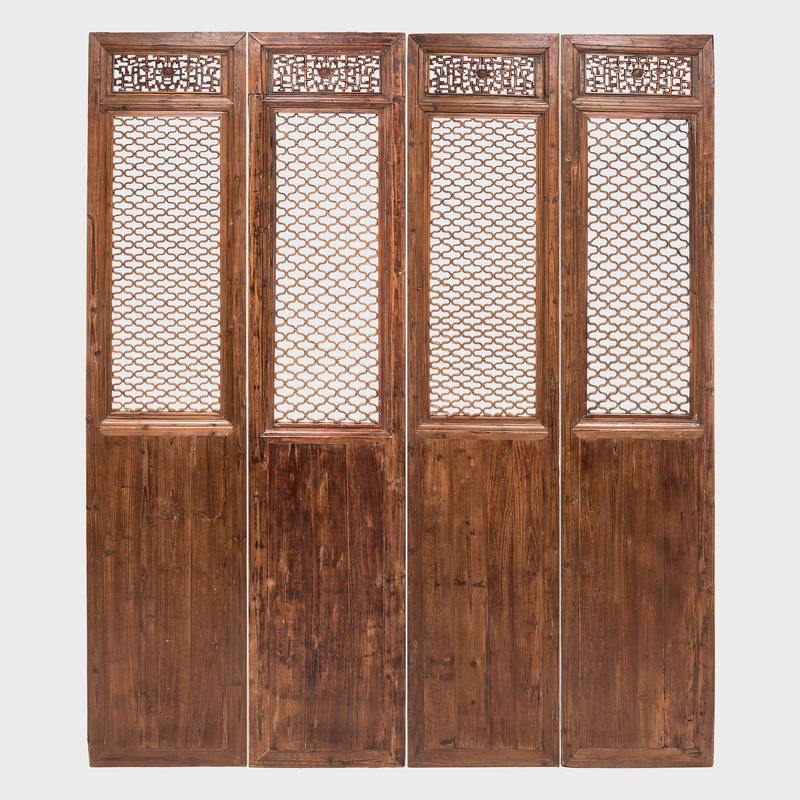 W: 23.0" D: 2.0" H: 116.0"
The sweeping elegance of these four 19th-century courtyard doors, with their intricate lattice panels, hides the mathematical brilliance required to create them. 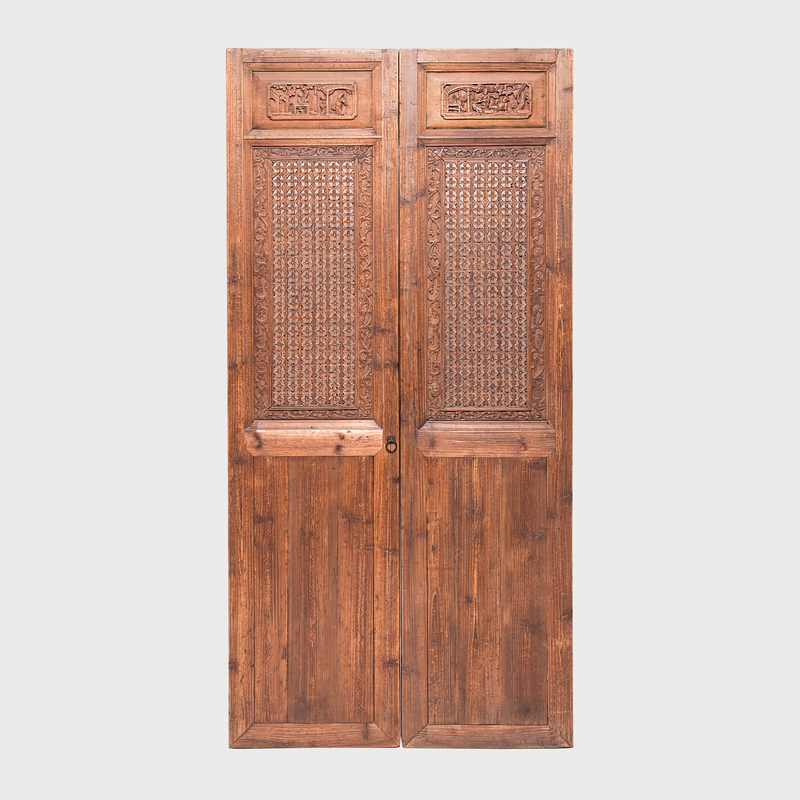 The wax-finished, knotty panels evoke life in a traditional courtyard home, where the openwork allowed light and air to flow into the inner rooms while maintaining privacy for its occupants. 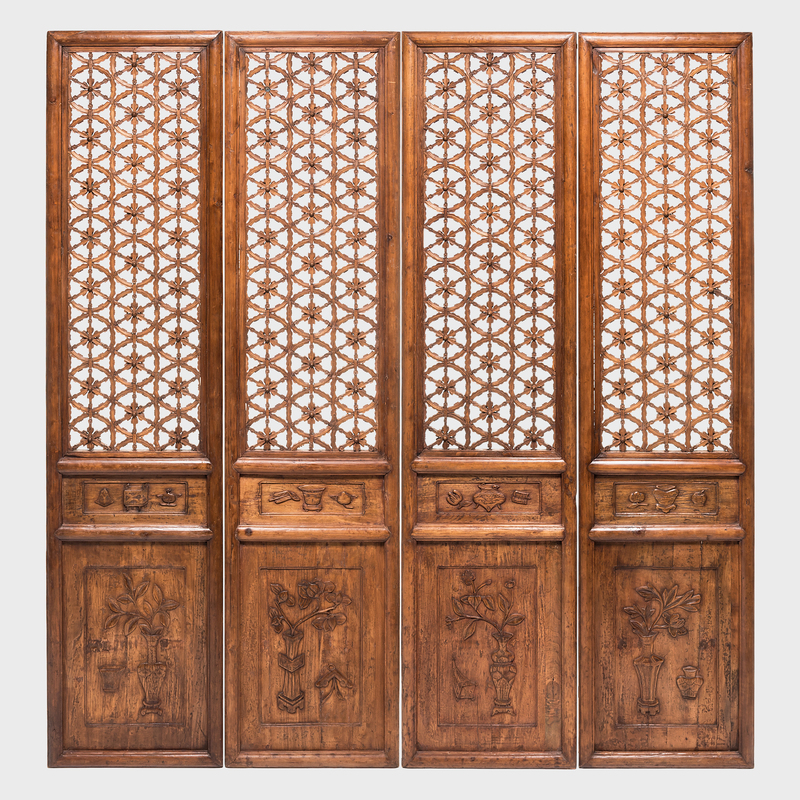 Creating lattice was a geometric puzzle; this elaborate quadralobe pattern was made by the precise interlocking of long and short pieces of carved wood. 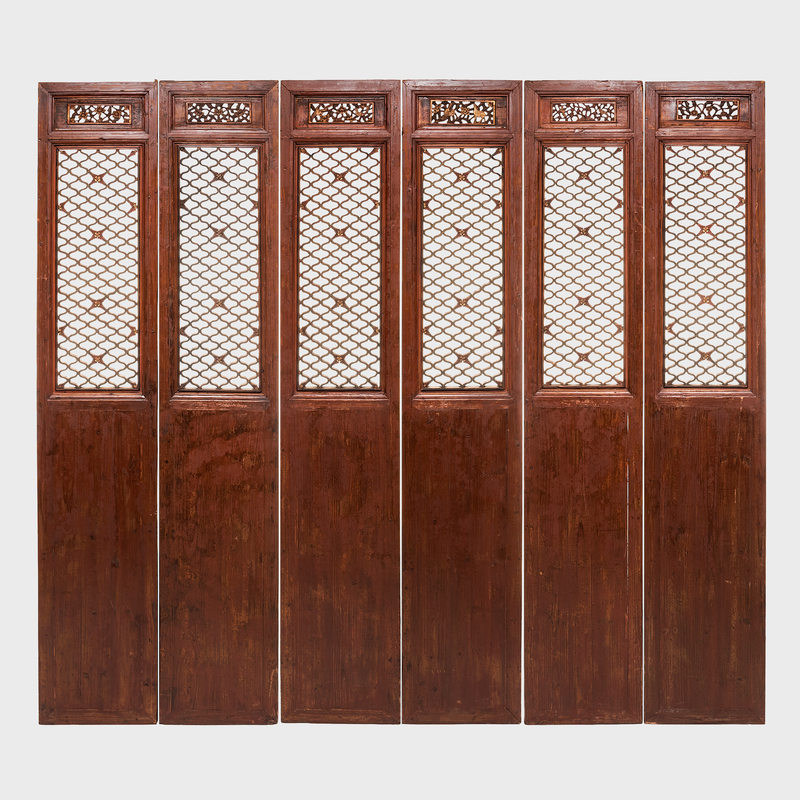 The panels are finished with finely carved and pierced top panels.